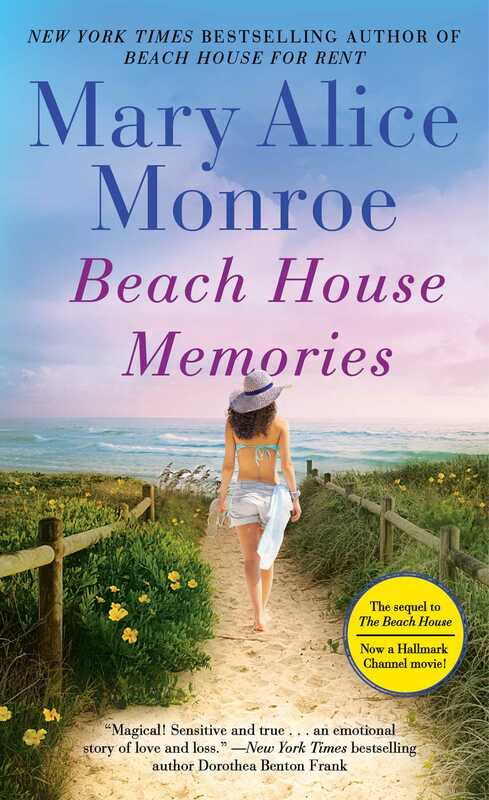 New York Times bestselling author Mary Alice Monroe's Southern-set classic Beach House Memories, the sequel to The Beach House, now a Hallmark Channel movie starring Andie MacDowell! In 1974, America is changing, but Charleston remains eternally the same. When Lovie married aristocratic businessman Stratton Rutledge, she turned over her fortune and fate to his control. But she refused to relinquish one thing: her family’s old seaside cottage. Precious summers with her children are Lovie’s refuge from social expectations and her husband’s philandering. Here, she is the “Turtle Lady,” tending the loggerhead turtles that lay eggs in the warm night sand and then slip back into the sea. In the summer of ’74, biologist Russell Bennett visits to research the loggerheads. Their shared interest soon blooms into a passionate, profound love—forcing Lovie to face an agonizing decision. Stratton’s influence is far-reaching, and if she dares to dream beyond a summer affair, she risks losing her reputation, her wealth, even her children. This reading group guide for Beach House Memories includes an introduction, discussion questions, and ideas for enhancing your book club. The suggested questions are intended to help your reading group find new and interesting angles and topics for your discussion. We hope that these ideas will enrich your conversation and increase your enjoyment of the book. In the summer of 1974, Olive “Lovie” Rutledge hosts a formal dinner party for her unappreciative husband in their lovely home in a privileged Charleston neighborhood. The following morning she takes her two children to Isle of Palms—a nearby barrier island off the coast of South Carolina where her family has a modest beach cottage. Behind closed doors, and exhausted from keeping up appearances, Lovie finds solace, happiness, and fulfillment at the beach. But when a handsome biologist arrives to research the status of nesting turtles—a project that is Lovie’s passion—she finds herself falling in love over the course of the summer, with devastating consequences. This is an unforgettable tale of marriage, resilience, and one woman’s private strength. 1. What are your first impressions of Lovie? Does she seem satisfied with her life and current situation? 2. Discuss the differences between the expectations of a woman/wife in 1974 when the story takes place, and today. Are there regional differences? How does Lovie’s expectations compare to your own? 3. Why do you think Lovie is so protective of her daughter when Stratton and Dee Dee both suggest Cara needs to learn better manners and be more ladylike? Have cotillions, debutante balls, etc. disappeared in your area? Or have they seen a renewed interest? 4. Lovie thinks of the beach house as returning “home,” where things felt, “constant, fixed, and reassuring.” Why does she feel this way about Primrose Cottage as compared to her house in Charleston? 5. Why do you think Lovie’s friend Flo never married? What is different about Flo and Lovie? How would a woman of Florence Prescott’s standards and values measure in today’s world? 6. 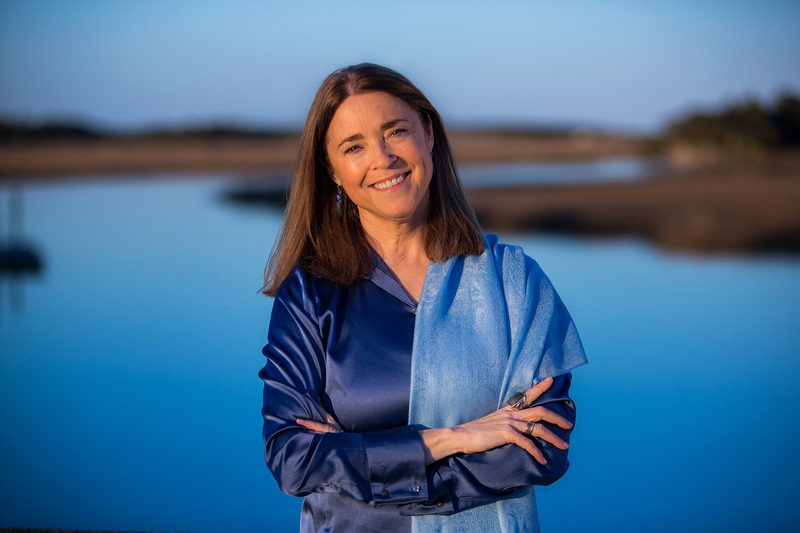 Lovie draws parallels between her role as a woman and mother and the mother sea turtles that swim hundreds of miles to crawl onto shore and lay their eggs. What aspects offered Lovie strength and hope in her desperate moments? What other lessons can you point out that Lovie has learned from the sea turtles? 7. In Chapter Five, the mayor of Isle of Palms says at a community meeting, “There’s always a price to pay for progress...” Do you think that threatening the nests of the sea turtles was a price worth paying on Isle of Palms? What would you do if you were a citizen of such a community? Discuss what programs are in place in your community for conservation, recycling, etc while considering Russell Bennett’s comment that the issue was not local, but global. 8. Dr. Bennett offends Lovie in their first meeting by unintentionally belittling her interest in the sea turtles. How did his opinion of her change as he read further into her records? 9. What significance does signing the notebook at The Point have for Lovie, and for Cara? 10. Compare and contrast the relationship between the novel’s mother-daughter pairs: Cara and Lovie; Lovie and Dee Dee; and Flo and Miranda. What does each mother want for her daughter? What does each daughter want from her mother? Do you think the mothers and daughters, both in Beach House Memories and in your own experience, are doomed to repeat the same patterns in their relationships? 11. How were the issues of class, women’s rights, and spousal abuse handled in 1974 and how have things changed in modern times? What choices do women today have in cases of abuse? Do you think abuse against women crosses economic lines? 12. In chapter thirteen, Dr. Bennett says to Lovie: “That’s the magic of youth. They have complete and utter faith. They believe.” Do you think that the ability to have faith fades with age? Explain your answer. 13. Why does Lovie feel so compelled to continue her work with the sea turtles in years to come? How does her vocation complete, fulfill, and sustain her through the years? What do you think is a deeper meaning for Lovie? 14. Do you think Lovie makes the right choice in the end of the novel? Why or why not? What would you have done if you were in her position? Do you think she would have made the same decision if she were 39 in the year 2012? 15. Discuss how Lovie’s Sea Turtle Journal impacted her life. Do you keep a journal? If so, how does it impact your life? 1. Bring the novel’s setting to life by serving some good, old-fashioned Southern cooking. Consider what Lovie and Dr. Bennett had at their dinner on the island for inspiration. For more inspiration for meal ideas, visit www.southernliving.com/food/kitchen-assistant/southern-cooking-recipes-00417000069475. 2. Learn more about marine life by visiting your local aquarium. Talk to experts like Dr. Bennett about what is being done to minimize the impact of development on marine life. 3. If you live near a beach or state park, go with your book club members to volunteer to help clean up for a day. Reflect on the passion that Lovie had for keeping the beaches safe and clean for the sea turtles. What did you and your book club members learn from your day of volunteering?